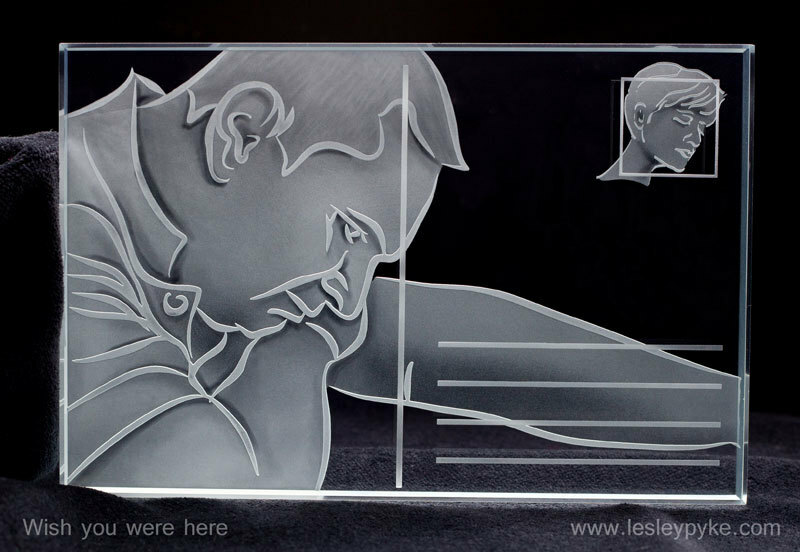 Lesley Pyke's work Wish You Were Here (2015) took the top prize. Earlier this week, The Contemporary Glass Society announced the winners of its annual glass art prize, which corresponded with the week-long International Festival of Glass in Stourbridge, England. Artists were asked to submit postcard-sized works made predominantly of glass. Chosen from the more than 160 submissions received, artist Lesley Pyke was awarded first place, and Evy Cohen was awarded second place. The glass art prize provides artists with a chance to win up to £250, as well as an opportunity to sell work during the International Festival of Glass. Every work submitted to the contest was displayed in an exhibition titled “Wish You Were Here” during the International Festival of Glass and open for sale to the public. Over the course of the the festival, 89 of these works were sold. Since the end of last week, many more works have sold on the festival’s online gallery.